In 1960s Silicon Valley Pamela Silver came of age part math nerd, part rebel, absorbing the spirit of both time and place. Think space race. Think Grateful Dead. She set out on her scientific career without a plan, propelled by an aptitude for math, an interest in science, and a love of the sometimes frenzied life of the laboratory. That love fueled groundbreaking work on how proteins make their way from the cytoplasm of a cell into the nucleus, a process called nuclear localization. Decades and many discoveries later, the same passion helped establish her as a leader in the fledgling field of synthetic biology. Silver was recently named a fellow of the American Academy of Arts and Sciences. She is the Elliot T. and Onie H. Adams Professor of Biochemistry and Systems Biology. Q: Let’s start at the beginning. You grew up in Atherton, Calif., in Silicon Valley? A: [My parents] were both psychotherapists, and it made for an interesting childhood. I think they must have met here [in Boston] and then they moved to the Bay Area probably right after the war, late ’40s, early ’50s. And my father became one of the founders of the Palo Alto Medical Clinic; it was one of the first group practices, sort of soup-to-nuts. [He] was also on the Stanford faculty. They moved to California right at the beginning of the rapid growth of Silicon Valley. We lived in Atherton before it was the richest town in the world. It was kind of cool, these old estates, built by James Flood and his children — big mansions and big land. They were just starting to subdivide it. Our house was one of the first ranch-style homes. It was already kind of upper class, but I didn’t realize that at the time; it was just where we lived. Q: You never do when you’re a kid. You just grow up in your surroundings. A: The roads were still dirt. The Flood granddaughters still lived there and had horses, so we could walk around and feed the horses. It all seemed very idyllic to me, I guess if I think back on it, which I do more and more. My parents were very high-level thinkers and very intelligent. That obviously set the tone in our household, maybe a little overdoing it. My sister was actually 10 years older, so it was more like I was an only child. Q: Is your sister your only sibling? A: Yes. My parents did get divorced. We were not a tightknit family but more highly dysfunctional. And in retrospect that was OK in terms of my own independence and things like that. At that time in Silicon Valley, everything was very science-oriented. How do we promote science in schools — it was all about the space race and stuff like that. I apparently had precocious math ability. Some on my father’s side of the family had an inclination to mathematics. He nurtured this. He taught me how to play Go when I was 6. Chess, maybe, but Go? Really? I won an IBM math contest when I was in junior high, but nobody was pushing me. My parents were so preoccupied with themselves, they just wanted to make sure that I didn’t do anything bad. Q: I read that you got a slide rule as a prize? A: Yeah, that was the prize. What a hoot. It wasn’t just any slide rule. My slide rule had a beveled edge, so the slider thing was here and you could still use it as a straight edge. What an amazing slide rule. I’ve never been able to find one like it. I also loved homework. I would beg the teachers in elementary school to give me homework, partly because I think it was a way to get lost from the family dysfunction and also it was just interesting. Q: What about your early schools? A: I went to the public high school, which was nearby, for a year. Then my parents sort of decided that I wasn’t getting the right education. They sent me to a local all-girls high school called Castilleja. It’s one of the few all-girls high schools left. It didn’t seem to emphasize science very much. The times were very disruptive. There was a lot of protest and the Vietnam War, and there you are in the all-girls school. It was a bit odd. A: My interest was independence. I have to say I was kind of a wild kid in high school. Let’s be honest, there was a fair amount of recreational drug-taking and going to the Fillmore Auditorium — I was heavily into the music of the times. The Grateful Dead were still kind of a local band and we were big fans — it was a big part of the local culture. Bob Weir grew up nearby, and they used to practice locally. Even when we were kids, we would go listen to them. They would play at local parks and pizza parlors. The great thing about my school is that the teachers took a personal interest in me. I had one teacher that thought I was a good writer. No idea why. The Palo Alto Times — the school was in Palo Alto — would have a student from each school write columns, and so she assigned me to be the reporter for Castilleja. … So I really got into that. Then there was this whole culture around personal computers and electronic hacking. There were so many wacky things going on, and even as teenagers we were very much part of that. Not clear how the parents felt about it. Castilleja was very much a college prep school. I applied to Stanford and Yale, but my real top choice was UC Santa Cruz, which is where I ended up going. I knew from the start that I wanted to do science, so the other good thing was that there weren’t very many course requirements or grades. I took as many advanced placement tests as possible, so I wouldn’t have to take anything but science classes, which probably made my whole undergraduate experience very warped. I started as a math major, maybe, then went to physics, and then ended up in chemistry. One thing I wanted to do, which Santa Cruz was very big on, was independent research, and so as fast as possible I just wanted to get into that, and I did. Q: Where did your initial interest in science come from? A: I would say it’s a combination of this uber-intellectual family life and also the school system, for sure. There were science contests and endless science projects, and my father fed that a little bit. I remember, in first grade, he brought a dissected cat to the class, because he was an M.D. He’d take me to the hospital all the time. A lot of our family friends were somehow connected to either the medical or engineering [fields]. My father used to play poker with [Nobel Prize-winning chemist] Linus Pauling, and one of my first job interviews in high school was at his institute. Other fathers gave me early programmable personal calculators for homework. Q: So, you’re in college, and you’re wending your way from math to physics to chemistry. How did that go? A: The math part I don’t remember much about. Physics was transient also. What I realized about myself was that I wanted to do experiments. So I think I ended up in chemistry because of the opportunity to do experiments. I’m sure it was a product of people I met and knew and things like that — teachers — but also I always was kind of a rebel. Everyone was majoring in psychology, that was the thing. There was just no way I was going to do what everyone else did. Q: No temptation, given your parents’ background? A: Absolutely none. Zero. Med school — off the table. Forget it. College was meeting up with just crazily interesting people. And Santa Cruz was just idyllic. You’d go off in the woods and the trees and surfing — oh, and sailing. Big deal, sailing. Probably the one thing that I got out of that was being on the sailing team and having something organized in my life. So that was different and fun. Q: Are you still a sailor? A: Yeah, it’s [in the picture] (not shown) right behind you. That’s my boat. Mostly I worked in the lab a lot. I liked the lab culture. I liked the all-night thing and feeling like you belonged and you were working on something. I really liked that part of it. I just characterize my life as not having a plan. And people say to me: “But you’re at Harvard, how’d that happen?” It just kind of happened. I’m not saying that was a good thing or a bad thing, but I do compare it to these kids now who start out so early with a plan. I am glad I had time to explore and be kind of a dreamer. So college is ending. I heard about this graduate school thing, and maybe I should apply. I’d heard of two chemistry programs that I thought would be, for some reason, good. One was Berkeley and one was Harvard. Those were my only two grad school applications. I remember somehow deciding that I didn’t want to go to grad school, though. I forget why. My father had died. I just didn’t feel right. I had no money, and so I decided, maybe I’ll just get a job. It was all complicated with boyfriends and husbands and lots of stuff. I did get a job at a startup chemical company, literally in Silicon Valley. It was across the street from Hewlett-Packard, really in the thick of it. Q: So how did you end up going back to graduate school? A: With my then-spouse, I moved to Los Angeles. The short story is that’s how I ended up going to UCLA for grad school. I’d actually spent an extra year at Santa Cruz doing this protein structure work, so I bargained with UCLA. If I could pass the equivalent of their qualifying exam, could I not take any classes and therefore finish my Ph.D. as fast as possible? I passed it, and so I got my Ph.D. in three years. I had a very supportive adviser who said you should just get your Ph.D. really fast. It was a good experience. Q: How was choosing Harvard for a postdoc different from not choosing it for grad school? A: Maybe there was finally an element of careerism starting to emerge. All these guys at UCLA were super young hotshots, and they had all come from Stanford and Harvard. So there was probably an element of hey, I can do that. At the same time, my adviser kept trying to push me, which just was perfect for me. He kept saying, try to do something where you set up your own research program. I did formulate a question in my mind of what I thought I wanted to solve. That was the question of how do things — proteins and RNAs — move between the nucleus and the cytoplasm? I had some hypotheses about this, so I approached a couple of faculty here. One was well known for letting people come to do whatever they wanted, so I went there. But I spent the summer before at Cold Spring Harbor. I went there to take the yeast course, which was a big deal then. That was just a total eye-opener. Q: Learning how to manage and use yeast as an experimental organism, essentially? A: Yes, but it was also about learning how to think as a geneticist, and it was just transformative for me. In many ways being at Cold Spring Harbor was amazing. Being in this community of scientists where it had that kind of 24-hour science-is-the-big-thing, interesting people to talk to left and right. I’d never seen anything like it. You’re just kind of away from all your responsibilities. It was just very magical and crazy, and I thought, jeez, this is how it should be. So when I got back to Boston, I started working in the lab I’d chosen. And I met people in Mark Ptashne’s lab, which was kind of a happening place. There was a lot of energy. I realized that I was initially not in the right lab — nothing wrong with it, it just wasn’t right for me. So I went to Mark, and I said, “I have this idea, and I’ve thought more about it. I think I could test it better using yeast.” And he was starting up this yeast group. So I joined Mark’s lab, and it was an amazing experience. The people there were just insanely smart. I mean, there were ups and downs, for sure, and some of those people could fight like dogs. It was either politics or science. It was just a crazily intense environment — and I solved my problem. I discovered how proteins have a sequence that targets them into the nucleus, and that was one of the first examples of that. And I really did it on my own. [At the end of the postdoc] everyone else seemed to have a plan. I said, hey, if this whole nuclear localization thing doesn’t work out, I’ll do something else. I did not have the I’m-going-to-be-a-professor-for-sure mentality at all. I remember picking a couple schools that I thought I might actually go to if they offered me jobs, places that had openings. It was a very short list. One was Harvard. And one was Yale. One was Princeton. And one was Cornell. I had interviews everywhere. … I did not think about gender bias back then. I really did not. There were times I realized in college I was the only woman in the class. I just never felt anything [sexist] until I went on those job interviews and there were almost no women faculty — mostly dinners with all guys. Then I had an offer at Princeton. And then at Yale. Princeton was sort of: “We’re growing, we’re new.” And I thought, well, that sounds interesting. And I went to Princeton but did not stay for long. Q: You went to Dana-Farber Cancer Institute and were there for a while, right? A: Yeah. I was hired in BCMP [Biological Chemistry and Molecular Pharmacology], and Chris Walsh was the chair. And he essentially saved my scientific life. I always say they took a risk on me. 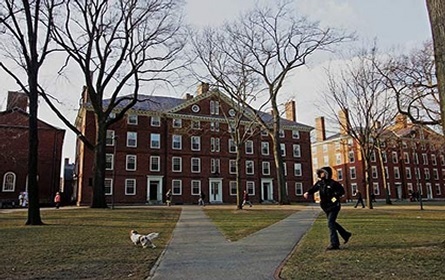 Many people said something like, “Oh my God, you’re going to go to Harvard? They’re so mean. It’s going to be horrible.” It was the antithesis of all those things — super-supportive and they wanted me. Q: So you were here as an associate professor? A: Based at Dana-Farber. My full appointment was in BCMP. It was back in the old days, when getting tenure took forever. The agreement was that when I was hired, they would “start the process.” And back then, the process sometimes took two to three years. So I had to sweat it a bit, but I had good friends there and good support. I’ve been blessed with regard to funding for my research, so far. I was worried being at Dana-Farber would be odd for me as a basic scientist, but it turned out it was fabulous. I was worried I wouldn’t get grad students. That turned out not to be true — got great students, great postdocs. And I continued to work on cell biology combined with molecular biology, and then it expanded into what you loosely might call systems biology. And my work had some cancer overtones to it in that we did discover — we did a small molecule screen where we discovered small molecules where, in principle, we could decipher the mechanism by which they would revert cancer cells away from cancer. Q: How did you transition from Dana-Farber to what was then the new Department of Systems Biology at Harvard Medical School? A: My own research was transitioning. I was taking a more systems-wide view of the cell biological problems I was working on. And also I was starting to feel like it was a time in my life where I was looking to change. It was a really good time for Dana-Farber. They were starting to get a handle on making targeted drugs for cancer, the kinase inhibitors. And I felt good about Dana-Farber, that they were going in a good direction, that they were closer to real cancer cures. But I wasn’t sure that my work was still a good fit. It had been — so I mean that in a positive way. The other thing that happened that was probably more consequential was that my now-husband, Jeff Way, who works here at the Wyss Institute, was helping a friend of ours start a new institute in Berkeley. He met a young postdoc there named Drew Endy and they became good friends. Drew had come from civil engineering, I think, and [he was] thinking about where biology should go. And then he came here — this was in the early 2000s, late 1990s — and started this group at MIT. It was bioengineers, computer scientists, and included me as the token real biologist. And that became the Synthetic Biology Working Group. It was nearby, so I could go over there a lot. I became pretty engaged in that. Then, simultaneously, Marc Kirschner [of Harvard] was starting this new department [of systems biology]. Marc asked me if I wanted to be part of this department. Q: And this was in around 2004, right? A: Right. It was fun to be around new people, new ideas, and also I was given the charge of starting the new grad program. Q: Let’s talk about the grad program and your thoughts on graduate education. A: I’ve had a ton of grad students, and I watched them matriculate and turn into scientists. I’d been thinking a lot about it and what that meant, and also this engagement with MIT was giving me a different perspective. One idea was it shouldn’t be that you come to grad school and just take a bunch of classes. You come to grad school to do research. They should engage in research soon and they would get custom mentoring. Also, we tried to attract students from a diversity of areas. They could come from computer science or math. So they didn’t necessarily have to have a biology background. The other thing I encouraged was collaborative projects, so you could have, for example, two advisers. A lot of students took us up on that. That would increase collaboration amongst the faculty through the students. It goes to the idea that the students are empowered and they’re helping define their education. It was about getting a mix of faculty across the University from different disciplines, not just the Medical School. Have a big umbrella. I liked that component of it. We got a significant number of applicants, and they were just amazing; they were some of the top students in the country. And then it stayed that way, and we got these interesting, quirky students. I’m not running it anymore. It’s still a great program. Q: During this period, you were starting to focus more on synthetic biology, right? Q: So tell me a little bit about that. You were at the meetings at MIT. Were you coming to understand the potential of looking at biology as modular, that it could be engineered in a rational way once you figured it all out? A: The modularity of biology was something that resonated for me, because it was the essence of much of my work in molecular biology. I had done things like take parts of proteins and fuse them to other proteins and show they could move to the nucleus in the cell. So that’s one essence of modularity. I was primed to think about it that way. I don’t know if I called it synthetic biology or anything, but it was very much in my wheelhouse. Q: Let’s talk about your lab. What do you consider milestones? A: Well, the first one was programming yeast to sense radiation. You can build sensors, but we wanted to build cells that not only sensed, but remembered. That was one of our first successes: building predictable circuits in yeast. Q: How do you get a cell to remember? A: There are a lot of different ways. Our way was to use transcriptional control, which is regulating how genes are made. One theme of our research is to draw from what we know about nature and try to apply that to practical problems. What nature tends to do with transcription is to use different kinds of feedback control that can either be positive or negative. So we took advantage of that. If you have a signal, instead of just having one burst, [we engineered it to] keep itself going, so it has this continuous feedback control. That’s a process used by nature that we deployed in our work. A: Yes. Imagine it triggers a pulse and something happens, and then that promotes a more sustained response over time. Q: And that sustained response is the memory? A: We call that the memory, yes. Memory of course means a lot of things to a lot of people, especially in neurobiology. So we’re using the term memory in a loose way here. Q: And without this, the cell would respond and then stop? A: That it happened sometime in the past. My overall dream, which I think we’re close to achieving, is not only would something happen in the past, but a cell then could count and tell you when it happened, so it would be a true computer. And it would tell you when it happened and then ultimately do something. That doing of something, hopefully, could be something practical, like emit a signal that tells you there are poisonous chemicals somewhere or that there’s a pathogen, or produce a therapeutic on-demand at the right time. We haven’t gotten there, but, at the time of me getting involved in synthetic biology, that was the overarching dream. Now we’ve taken a lot of different side paths. We have this paper coming out in a few weeks about sensing inflammation in the gut. That, of course, is a huge problem in general. There’s no good treatment and it’s a chronic disease. Many people suffer from it. So we can create intestinal bacteria that will report on inflammation. Now the question is, can we get them to make a therapeutic for it? That’s one of the examples of the dream getting close to reality. 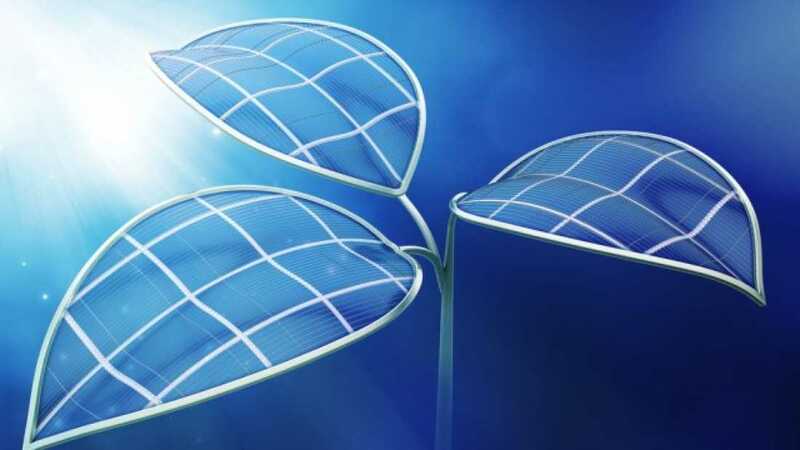 Q: Another project you’ve worked on is the bionic leaf. A: It’s super exciting. There are just so many opportunities here at Harvard, sometimes you look back and you say, oh my God, this thing happened. 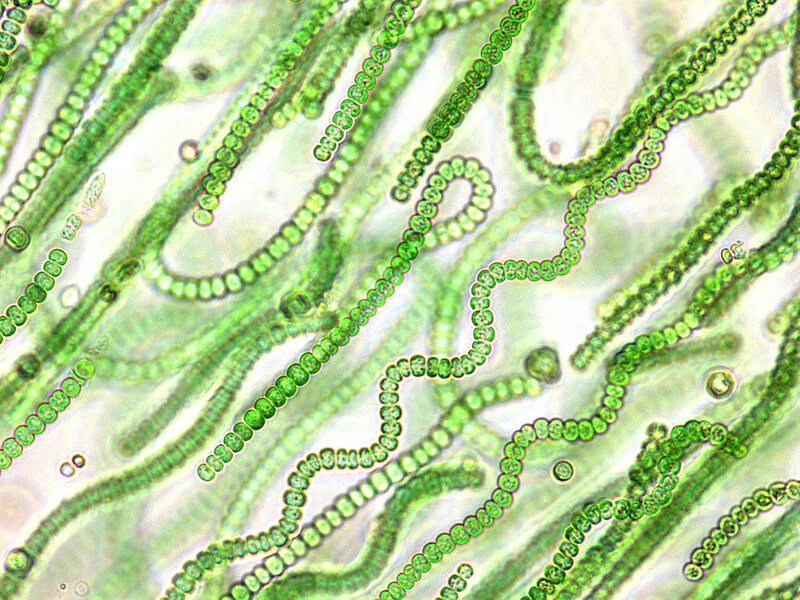 I was working on cyanobacteria, which are one of the simplest organisms that do photosynthesis, and we had engineered them to make hydrogen. We were believers in the hydrogen economy, which kind of didn’t turn out so well. It might come back someday. I got invited to be part of the Harvard University Center for the Environment, and Dan Schrag, the director, introduced me to Dan Nocera at the holiday party. Dan Nocera — he had just moved [to Harvard], and he said something like, “I’ve been trying to meet you. I’ve got this artificial leaf. It makes hydrogen.” And I responded with, “I’ve got these bacteria, and they’ll eat hydrogen and fix CO2.” It was like two synergistic personalities; it just clicked. Q: Looking ahead in synthetic biology — 10 years from now — what do you think will be most important? A: In the perfect world, I would say on-demand drugs would be a big deal, whether that be protein-based drugs, cell-based drugs, or chemicals. For example, a friend of mine who is a professor at Stanford has made yeast that will make opiates. Think about the consequences of that. One is economic and the other is to make “designer opiates” that get rid of some of the bad things about them. I think that’s just an example of the power of biology to make things we’ve never seen before. We are at a tipping point around DNA synthesis. It’s not yet cheap enough where a grad student could say, “I’m going to build a whole new organism.” We need another kind of technological leap. Our whole goal was to make the engineering of biology faster, cheaper, and more predictable. Let’s say we succeed. So then what? Do we have the perfect planet? Is everything wonderful? Is there misuse? I’m thinking about things I don’t know the answer to. How do you find the genetically engineered organisms [released into the environment]? How do you respond quickly to a pandemic? These are things I think we are poised to do well. Can we make a vaccine in a day? Can we figure out what a pandemic is in a few hours? That really fits the bill of faster, cheaper. How do we marry the coming firestorm of AI with synthetic biology? There was a time when young people wanted to work on molecular biology. That was the cool thing. AI is the cool thing now. Hundreds of undergrads at MIT want to take Intro AI. So we have to capture that imagination and meld it with synthetic biology. Q: Do you look at young women in science today and think about how things are either different or the same as when you were coming up? A: There are still a lot of males in charge and, as you get higher up the food chain, you start to notice different things. There are still times I’m the only woman in the room. I have my one activism thing, where if I see meetings with no women speakers, I write a letter. I have some things that I call out, like science advisory boards with no women. So I make a pest of myself every now and then, but so do a lot of other people. But about the trainees — that is something I think we’re all worried about. It’s a complicated problem. It feels like it’s harder to get women applicants and have them stick with it. I try to encourage the women in my own group. But at the same time, they have to make choices that make them happy. There just still aren’t a lot of women at the top. How much impact does it have if you’re a younger woman and you don’t see women in [leadership]? If Harvard holds a symposium, it should never be all male. Any topic — there’s no reason. These, to me, are cheap, simple fixes. You should never have posters for conferences that have all males. That costs you almost no money. So I think there are lots of things you can do that don’t require major investments that send signals that are positive. Q: They say that science is at least partly about failure and learning from failure. Do you have advice on how you deal with failure? But at the same time, I like to encourage people to be risk takers, because if you don’t take risks, you’re not going to get anywhere. So there has to be some balance. I will say it’s the thing I most lose sleep over. Forget not getting grants and all that. It’s the people you worry about — you want everyone to succeed. At my stage, this is not about me anymore. It’s about them.